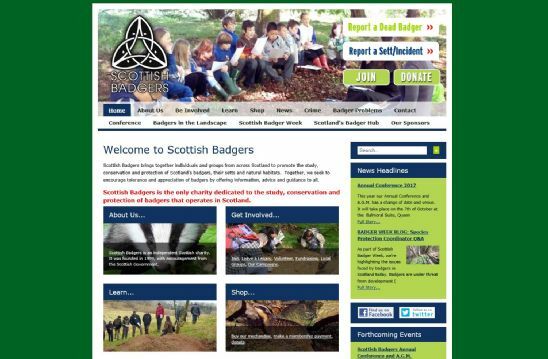 Scottish Badgers is the only charity dedicated to the study, conservation and protection of badgers that operates in Scotland. On their website they'll give you details of how you can get involved with conservation, learn about badgers, report an incident and keep up with badger related news. The dotscot domain name helps to reinforce the Scottish aspect to the charity.